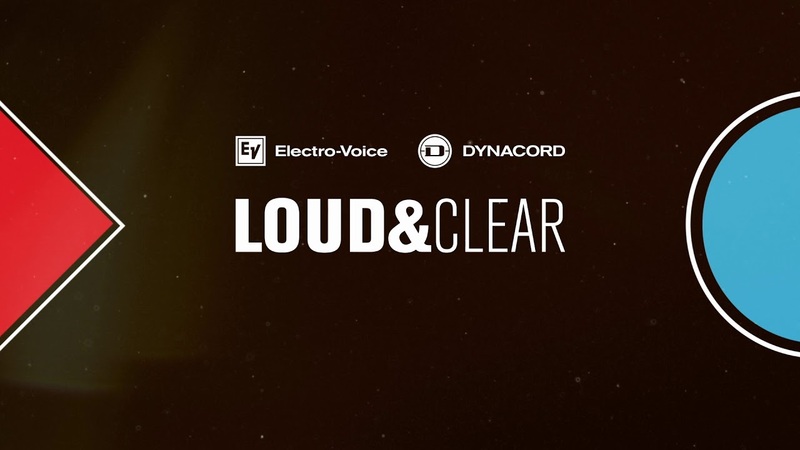 The EVID-S4.2T, from Electro-Voice, is a highperformance, two-way, full-range, 4" (102 mm) surface mount speaker with excellent wide, uniform coverage, and outstanding performance. 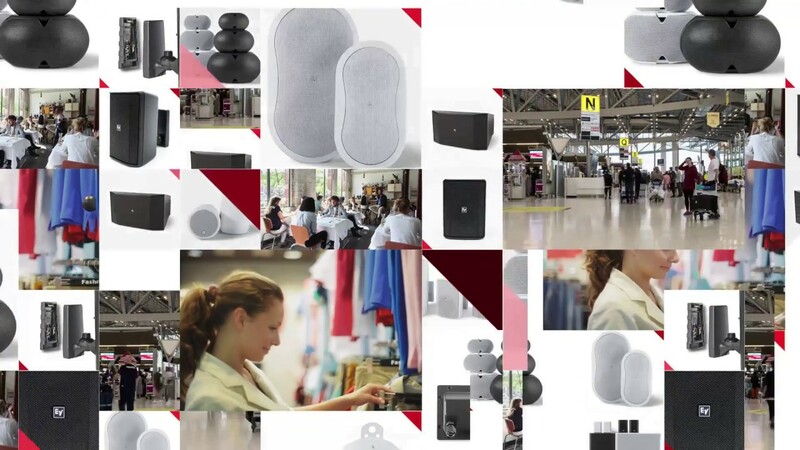 It is designed for background and foreground music, paging, and sound reinforcement, and it's ideal for a wide variety of indoor and outdoor applications, such as restaurants, bars, patios, retail, fitness clubs, hospitality, theme parks, leisure venues, and others. With unparalleled ease-of-installation, sturdy weather resistance, modern and delicate look, and it's flexible mounting options, the EVID-S4.2T is the perfect solution for a wide variety of surface mount applications. 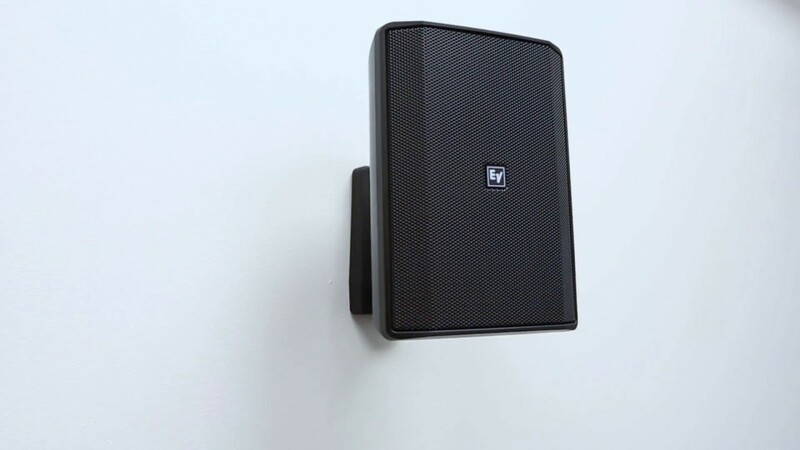 The EVID-S4.2T includes the unique and innovative mounting system, from Electro-Voice, making every installation quick, simple, and reliable. The mounting system allows for 90 degrees of rotation horizontally, and 45 degrees of rotation vertically, and it can be easily installed on walls and ceilings. The mounting system comes already assembled and ready to be used, ready to make any job easier. The EVID-S4.2T utilizes a 15 W transformer, that offers a selection of 3.7 W (70 V only), 7.5 W or 15 W delivered to the speaker system using either 70 V or 100 V lines. Selection is done with a Euroblock connector on the input panel located on the rear of the speaker. The EVID-S4.2T has been carefully engineered to resist outdoor environments, without compromising on performance for indoor applications. The full-range speaker is IP54 rated, and its weather-proofing is complemented with exceptional cabinet and grille resistance against sun, salt and moisture. All EVID-S models are available in black or white, and can be easily painted to match the décor. Transformer versions are also available for constant voltage systems. Connector Type Captive screws on wall bracket. Max. wire size 12AWG (2.5mm). EVID‑S wins industry award at InfoComm!